Home / Unlabelled / The artist corrects the statue of Cristiano Ronaldo ...! The artist corrects the statue of Cristiano Ronaldo ...! Ronaldo's statue was replaced in Madeira, Portugal, after many criticisms of not matching the five-time Golden Ball winner. A second chance is always given to everyone, and this has happened with Emanuel Santos, the sculptor who made the Cristiano Ronaldo statue a year ago, on the occasion of the inauguration ceremony of the "Cristiano Ronaldo" airport in Madeira, Portugal. The sculpture became famous for numerous criticisms due to the lack of resemblance to Real Madrid's talent. 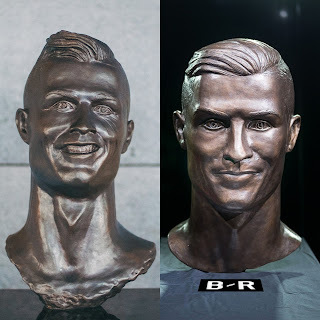 In this way, "Bleacher Report" met the artist in Portugal and proposed to make the bust of the CR7 again. 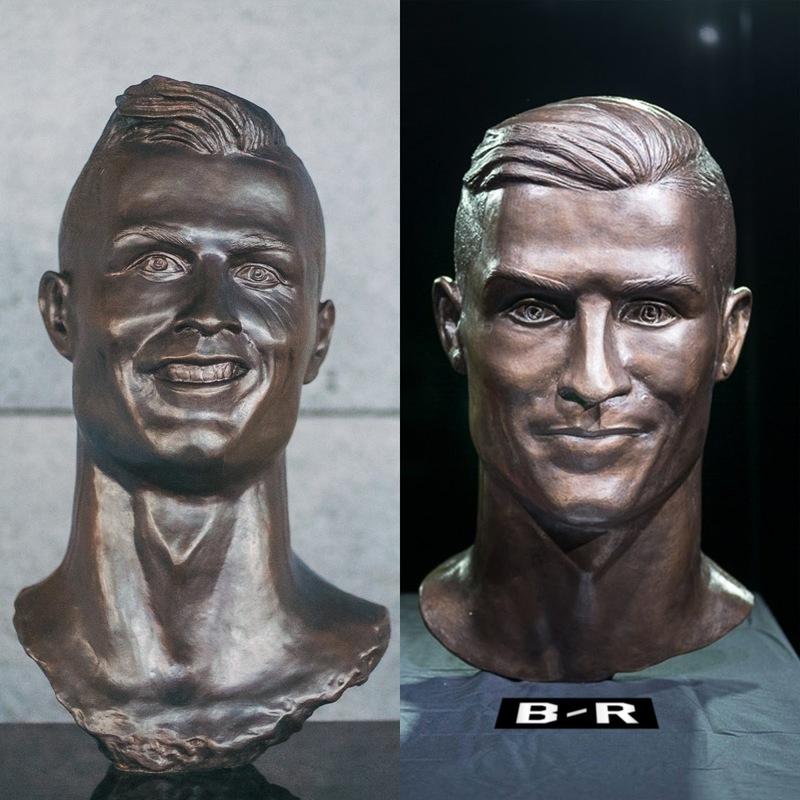 The challenge was accepted and won by Emanuel Santos, who accomplished this similarity very well this time and with Cristiano Ronaldo's request the statue at the airport was changed. "Cristiano only asked me to remove wrinkles from under my eyes. The original mistake was that I worked in copper, "said the sculptor.